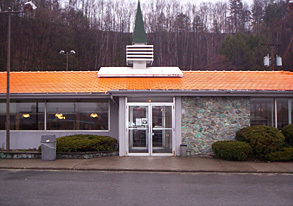 On Sunday, April 22, 2012, viewers of the immensly popular "Mad Men"
TV series on the A&E Network were shown the glory years of America's orange roof icon, Howard Johnson's. The exterior scene was filmed at the Regency Inn and Suites located in Baldwin Park, in California's San Gabriel Valley. 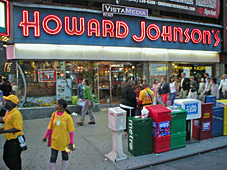 It features the former Howard Johnson's in Times Square. The Olsen Twins visit Times Square an hour into the movie and you can see the former restaurant for a few seconds. They don't visit it, but the restaurant is seen very clearly in the film, one hour into the movie. This movie, released in February, 2004 and starring Michael Douglas and Tobey Maguire, has some great interior and exterior shots of the former Belle Vernon, PA Howard Johnson's Restaurant (since torn down). This page is in no way connected to or represented in any way by Wyndham Worldwide, owner of the "Howard Johnson" brand.